BPW Australia is a community of women working to end gender inequity. 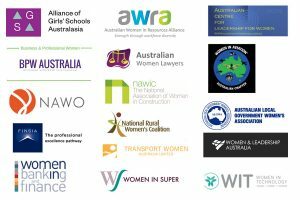 Our members share an interest in the issues that affect working women in Australia and around the world today. We believe that gender equity is a basic human right, and its achievement brings socio-economic benefits to everyone. By empowering women, the broader community thrives, increasing positive productivity and growth. BPW’s advocacy, projects, programs and partnerships focus on issues that affect women and workplaces such as pay inequity, accessible and affordable childcare, lack of support for women’s refuges and domestic violence. Our clubs offer scholarships and bursaries for young women in school and university. We partner with other organisations on international projects and campaigns including International Women’s Day and the Women’s Empowerment Principles. Through our meetings and events, newsletters, personal and professional development programs and other initiatives, we connect and empower women who aspire to do more. Our community includes women in a variety of organisations – from small and medium-sized businesses through to large multinational corporations and from the public and non-profit sectors, as well as women no longer in paid work, influential women leaders, young career women and savvy entrepreneurs running their own show. Our members bring a depth and breadth of expertise and experience and represent a wide variety of professions, trades and industries. We lobby government at all levels – local, state and national -and consult with business, industry and organisations to provide a gender perspective on key issues.